The groundbreaking ceremony to launch the Waste to Energy project in Karadiyana was held recently with the attendance of President Maithripala Sirisena, along with the Chief Minister of the Western Province Isura Devapriya, Cabinet Minister of Megapolis and Western Development Patali Champika Ranawaka, Deputy Minister of Policy Planning and Economic Development Dr. Harsha De Silva, Cabinet Minister of Telecommunication and Information Technology Ranjith Siyambalapitiya, Minister of Road Passenger Transport Lasantha Alagiyawanne and many other special guests. Fairway Waste Management, a subsidiary of Fairway Holdings, was awarded the project by the Government of Sri Lanka to establish the waste-to-energy plant together with the Waste Management Authority. At present, Karadiyana receives approximately 500 tonnes of waste per day from municipalities such as Dehiwala-Mount Lavinia, Kesbewa and Maharagama. The site is currently managed by the WMA and operates as an open dumping area, resulting in many negative environmental, social and health issues. The proposed cutting-edge waste processing site brings together international consultancy and local expertise to produce the most environmental friendly and sustainable waste processing solution. The plant is a hybrid design that minimises the amount of waste that is thermally treated. While reducing the waste diverted to landfills, the plant will also recover the nutrients in the waste returning it to the earth as a fertiliser and the energy content will be transformed into electricity to be distributed to consumers. The process will work in stages of mechanical sorting, biological processing plant and mass burn incineration. 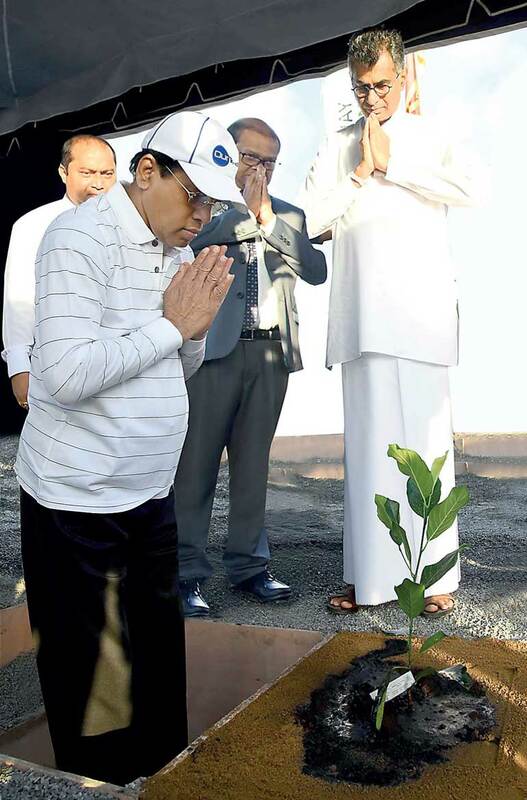 “When I took over, the situation was much different,” commented Patali Champika Ranawaka, the Cabinet Minister of Megapolis and Western Development. “The state authorities, environmental groups, residents were all disputing each other. We have now taken the initiative to take into consideration ideas and suggestions of all parties concerned and bring about this proposal, which is a great achievement,” he added. The Waste to Energy project is scheduled to be completed in 18 months and will bring about many long-term advantages. Fairway Waste Management is a subsidiary of Fairway Holdings. Fairway Holdings is a local company that is primarily engaged in building vertical living spaces. It is a company that prides itself on engaging in projects that are environmentally and socially sustainable. Sustainability is its ethos; people are its resource that it nurtures and guides. Sri Lanka is its home and it is dedicated to contributing to its growth.